The MRC London Institute of Medical Sciences (LMS) has been based at the Hammersmith Hospital campus in West London since its creation in 1994. 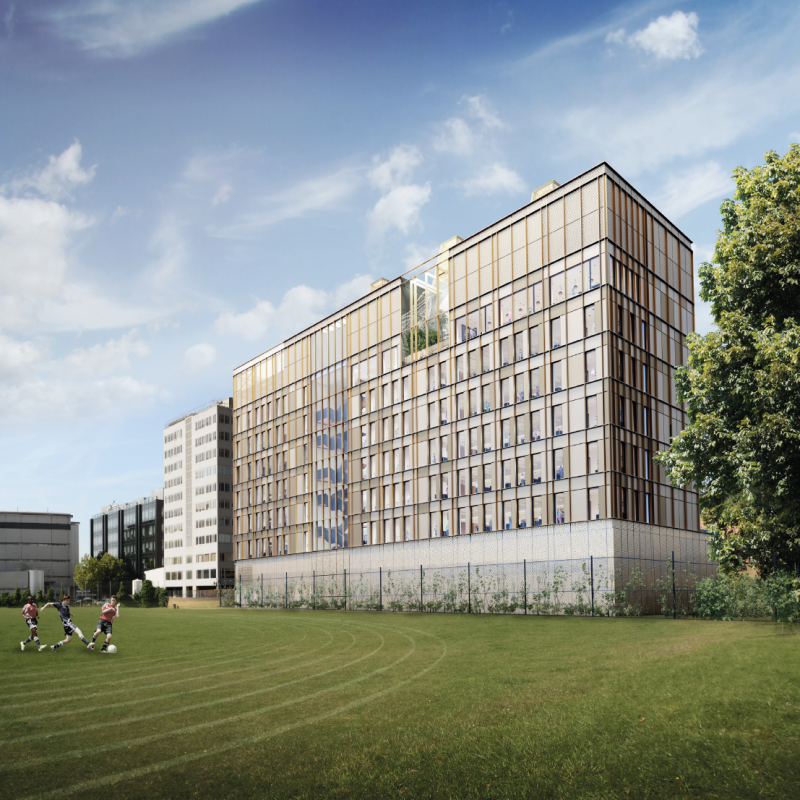 In 2017 the Medical Research Council and Imperial College London announced a joint project to build a new home for the MRC LMS on the former Cyclotron site. The brief for the new building was to create approximately 10,000 meters squared of advanced research facilities in an environment which will provide a new home for the MRC London Institute of Medical Sciences and promote collaboration between all building users. In February 2017 Turner & Townsend were appointed as the Project Manager and Cost Manager for the project. In July 2017 a design team were appointed composed of Hawkins\Brown, Buro Happold and Abell Nepp. In August 2018 contractors were invited to bid for the construction of the building. In November 2018 the project team submitted the planning application for the building to the London Borough of Hammersmith and Fulham. You can view the live application here. The design and project team are currently developing the RIBA Stage 4 technical designs while the planning application is being reviewed by the local planning authority, and are in the process of procuring the main contractor for the project. Further updates about the building project will be posted to these pages.